It’s quiet in New Street this morning – eerily quiet. A few people have gathered to look up at the smoke-blackened holes that yesterday were windows, the remains of the front door, and perhaps to pay silent respects to the men who died. Old Sam Alcock - an old man now, 84 they say, but many will remember him as a blacksmith. And John Thomas, the newspaper seller – around 30. But looking at the place – which not many of us have ever done – it doesn’t look as if even the younger man would have had much chance. You don’t know Beare’s Court? It’s opposite Trounson’s workshop, towards the bottom of New Street, Penzance. All you’ll be familiar with is the big block of granite buildings, three stories high, at the lower end, where the old Queen’s Head used to be. Edwin Hall, the cabman, has rooms there. You may never have noticed the little ope leading to Beare’s Court, or Bakehouse Court as some still call it. Mrs Kewn’s place – it was in her kitchen, at the back of the court where the fire started. Above the kitchen, bedrooms - one for Mrs Kewn herself, one for her son Charlie, and one let to Sam Alcock. Up a further flight of stairs, on the third floor, a room for the older Kewn boy – Rudolph, and another room let to John Thomas. Next door, the other side of a “wooden partition”, Mrs Barnes and her lad George. Rudolph seems to have been the hero of the night. “With much presence mind and commendable promptitude for a lad his age” – he’s just fourteen – he was woken up by the smell of burning. Jumped out of bed; ran downstairs. Sure enough, the kitchen was full of smoke. But he could see no flames. The lad kept his head. Ran upstairs to wake John Thomas, perhaps making a snap judgement that the news vendor was going to be more help than his mother, his younger brother, the older lodger. He banged on Mr Thomas’ door, then ran back down to wake old Mr Alcock, and his own family. Rudolph’s bold action was “only in the nick of time”: when his family reached the kitchen, they found it “ablaze”. John Thomas – first to be alerted – was a few seconds too late. Perhaps he stopped to throw on some clothes, collect a few belongings. Nobody seems to know much about him. Few of the neighbours seemed to know that he was even in there. Perhaps he was just slow – perhaps that’s how it was. Whatever the reason, before the newspaper seller could scramble down to ground level, the fire had caught the wooden floors, the staircase - even the partition between the Kewns and their neighbours the Barnes, who have been spared – their escape so close-run that their hair was singed; their survival surely “miraculous”,. Not so John Thomas. His last moments were played out in public view; witnesses talk of his “strenuous endeavours to attract attention, shouting loudly through the window for someone to bring a ladder” before he was overcome by the smoke and heat. Outside his window, a three-storey drop to the street. No back entrance. The sort of housing – cramped back-to-backs – that is “forming such a problem in Penzance today”. The “only means of egress and escape” had already been seized by the “roaring mass of flames”. And old Mr Alcock? His body has also been recovered this morning. Rudolph called him twice, but perhaps he paid the price of the fatalism that often accompanies old age. He seems to have stayed in bed after the first warning. His last words, according to Rudolph Kewn after his second attempt to save the old man? "All right, I'm coming." But before he could escape his room he seems to have fallen, knocking himself out before the flames reached him. After rousing his family and the neighbours, Rudolph ran for the police and fire brigade. In Market Place he found Constable Bartlett, on night duty. Perhaps imagining youthful exaggeration, the policeman ran down to the Police Station for a hand-held extinguisher. Meanwhile, the blaze “seized hold of the staircase and its partition, which burnt like tinder.” When he turned the corner into New Street, Constable Bartlett thought better of his plan, and sent for the fire engine. But by then, “the flames were all coming out of the front window…. The heat was terrific, and the smoke, even out in the street, was almost suffocating”. And the scene in New Street this morning? “Here all is desolation. The entire interior has been absolutely gutted, and one glance is sufficient to vividly demonstrate how quickly the fire spread and how soon the victims were entrapped”. The fire wasn’t fully out until first light, despite the attendance of the Brigade and both their powerful hoses. Two men dead. Four families homeless. If we can call these squalid garrets, ‘homes’. Our hero Rudolph Kewn, born into the first year of WW1, will have been 25 in 1939 and presumably served in WW2. We would be interested to hear more of his story. 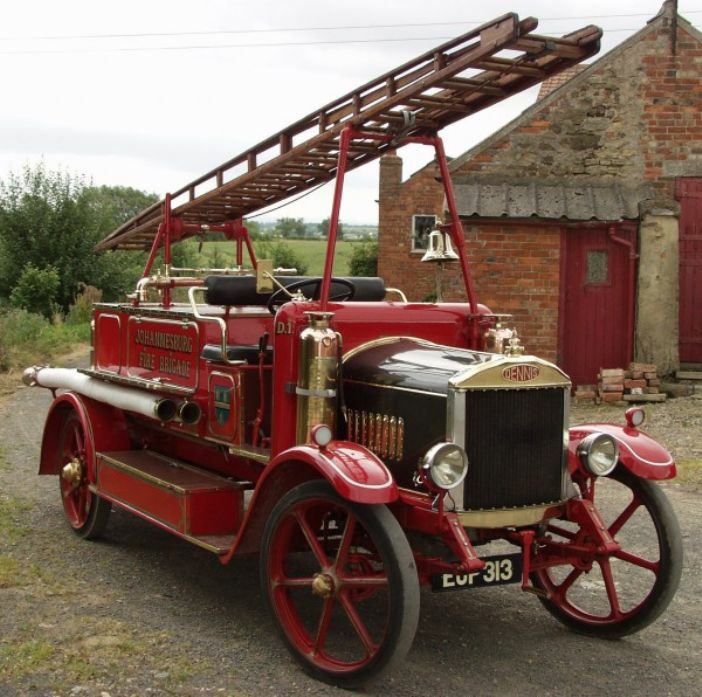 For anyone with a particular interest in fire engines there is an account of the delivery and test run of the new Penzance appliance in the Cornishman of 21 March 1928 p3.